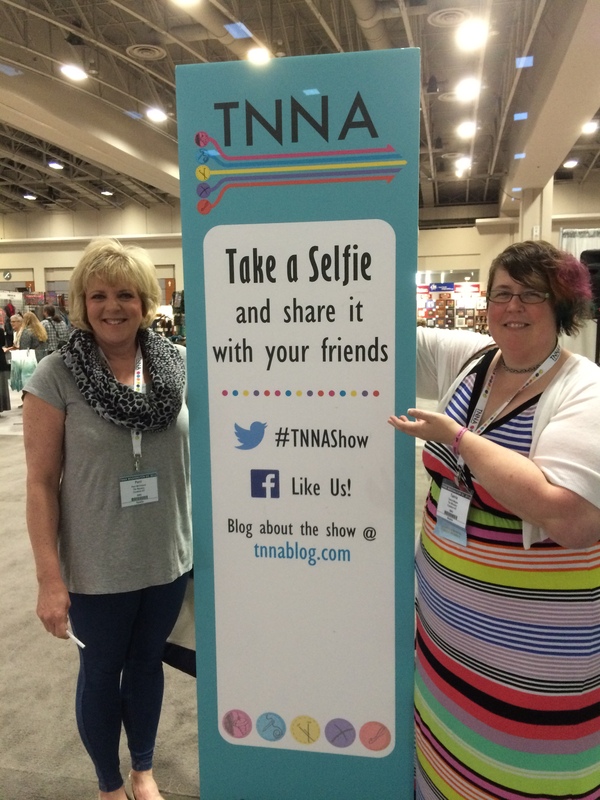 We have lots of exciting news coming down the pike, and our recent trip to the Summer TNNA (The National Needlearts Association) Trade Show is the perfect opportunity to give you a sneak peek into what's to come! 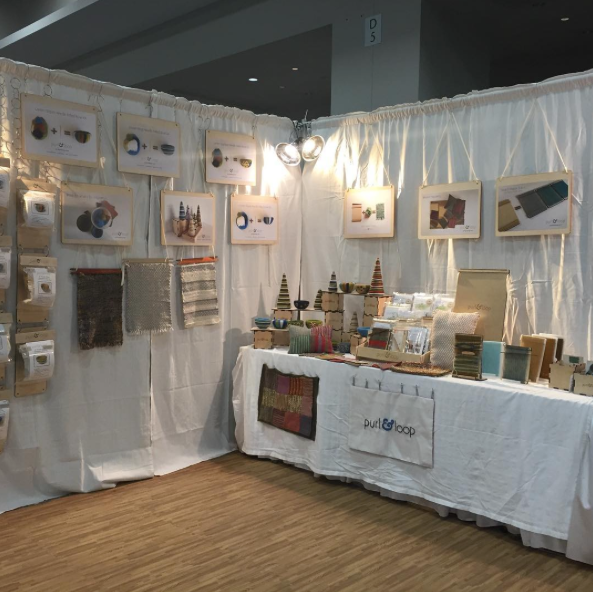 Perri and Taevia both journeyed to Washington, DC to walk the show floor, take classes, place orders, and spot industry trends. 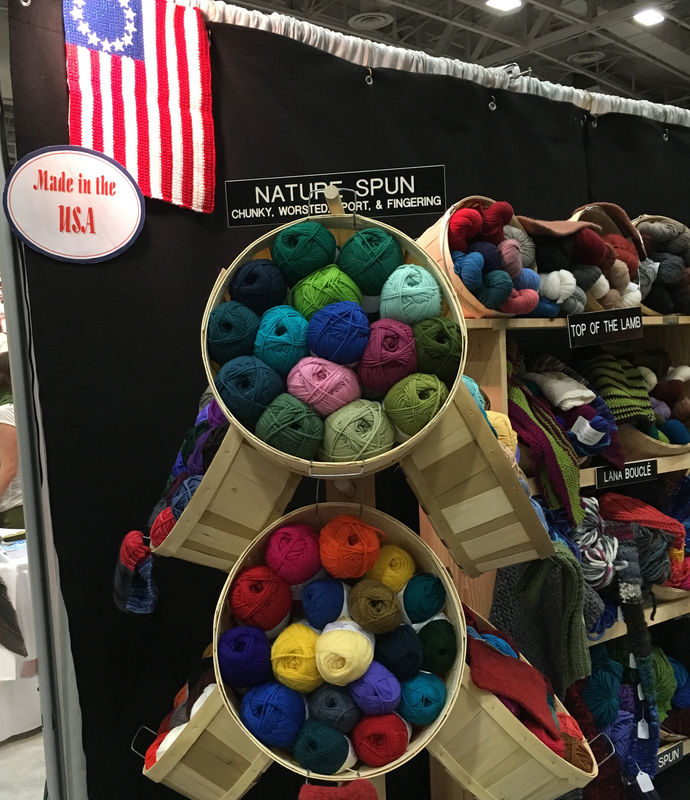 There was quite an emphasis on products which were Made in the USA, and we were glad to stop by the Brown Sheep booth to say hello and view the newest colors of some of our favorite sustainably-produced superwash yarns. We also spent some time in the lovely Purl & Loop booth; in the photo below from their Instagram feed, you can see several products which will be coming soon the Woolery (hint, hint)! 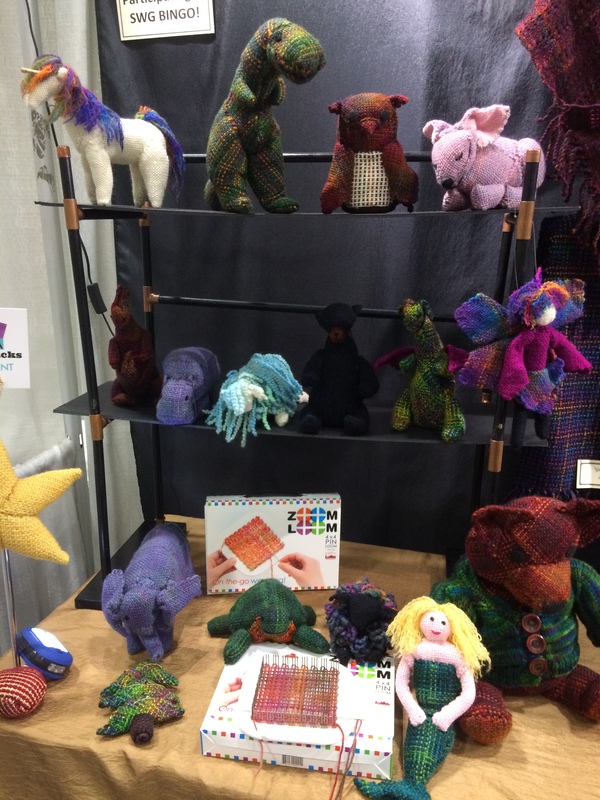 Speaking of new products which will be arriving soon at the Woolery, we happened by the Wool Buddy booth, which had an impressive display created by needle felting. 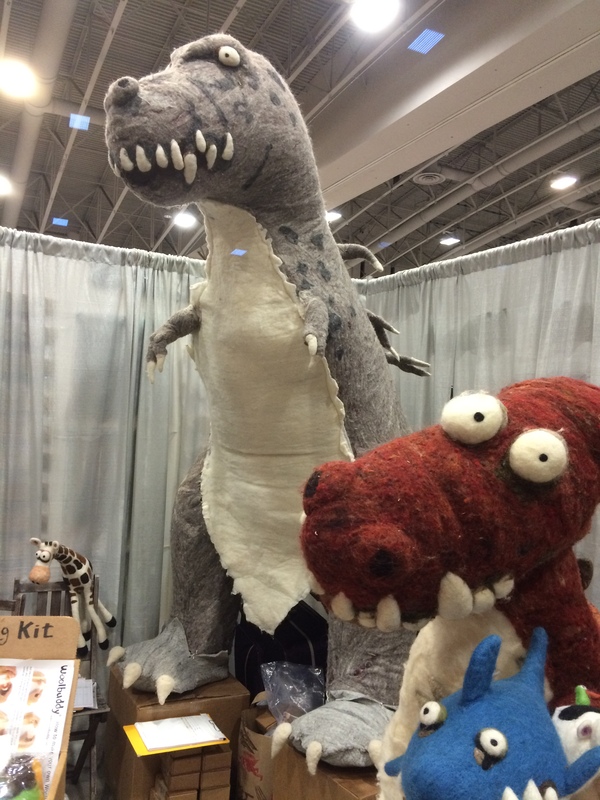 They have many, many fun kits to make various creatures and critters, and we're excited to be adding them to our shop soon. One of the great things about attending the show is to be able to visit with the people behind the brands we love so much. 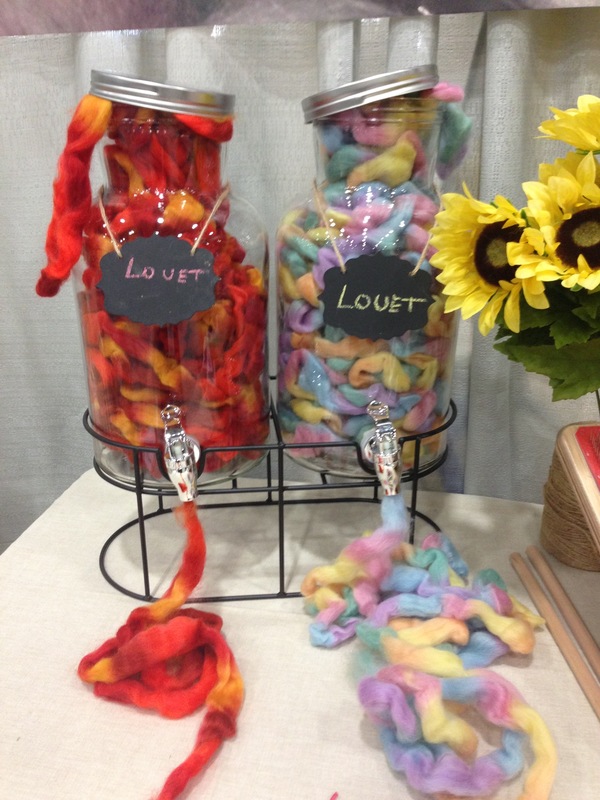 We were able to chat with Dave and Pam from Louet North America, and check out their lovely spinning fibers, wheels, yarns, and more! 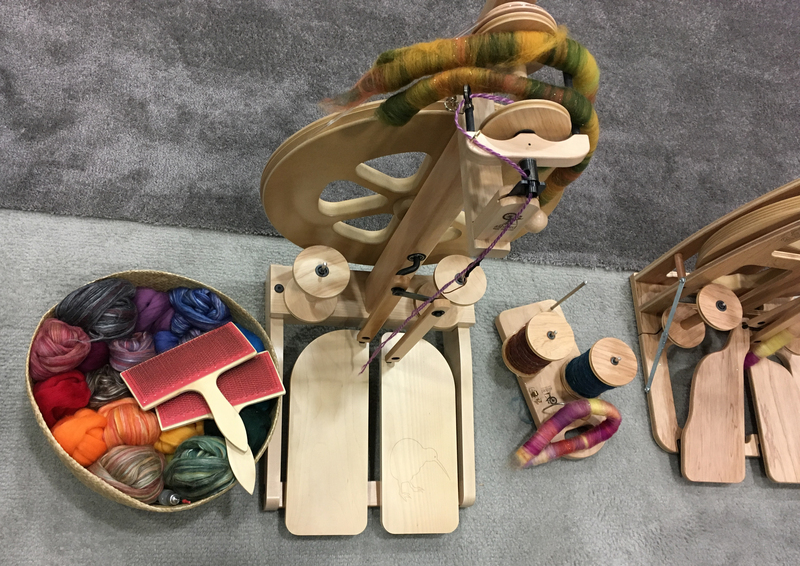 We also got a chance to stop by the Ashford booth, where there were plenty of live spinning and weaving demos. We couldn't resist this beautiful arrangement of spinning fibers waiting to become rolags, and rolags which were ready to become yarn! 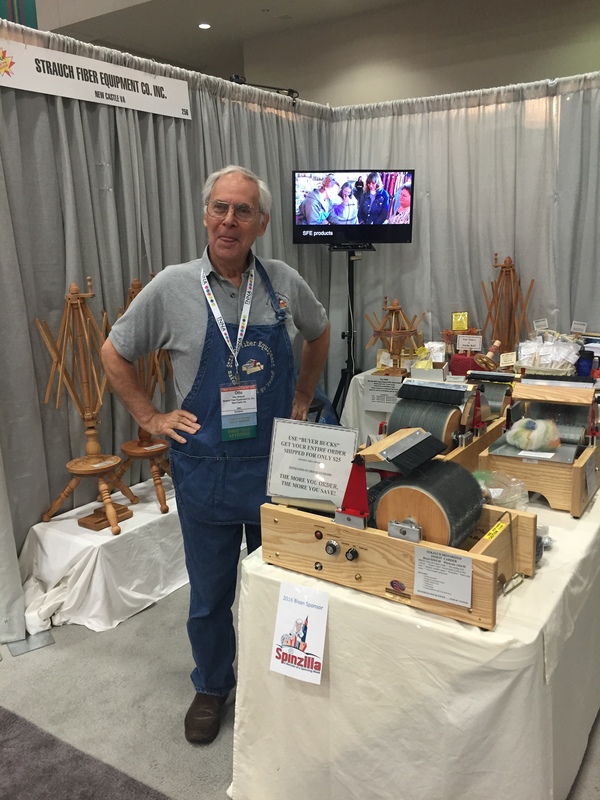 We also got a chance to see the Strauch ball winder and swift along with various models of hand cards and drum carders in action, all while visiting with Otto and Joanne Strauch. It was their first time exhibiting at the show, but you sure couldn't tell - check out their professional booth setup! 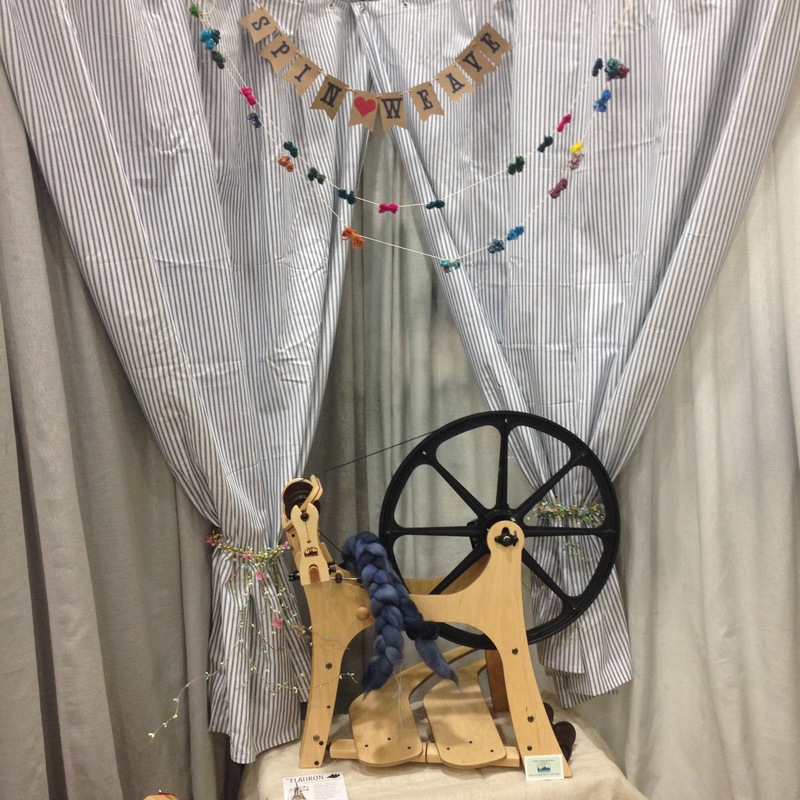 Another fun aspect of the show is to be able to see what's new - and we happened to spot the new Schacht Flat Iron spinning wheel in the Spinning & Weaving Group booth. This item is not yet on our website, but we are now accepting preorders. You can find the details below; this wheel is already receiving rave reviews from all who try it! To preorder your Schacht Flat Iron spinning wheel by phone, please call us at 800-441-9665. Cost is $795 and we offer free shipping within the continental USA; you'll also receive a $25 Woolery Gift Card. Our anticipated ship date is mid-August of 2016. Double treadle Spinning modes: Scotch, double drive, bobbin-lead Spinning ratios: 4.6:1 to 26:1 Weight: 15 pounds Drive wheel: 22 1/2” Orifice height: 26” Dimensions: 33” wide x 33” tall x 18” deep Comes with 3 bobbins, medium and fast whorls, cotton and poly drive bands, threading hook. Special features: Can be assembled with the flyer on the right or the flyer on the left. Packs flat for shipping. The Saxony style Flatiron comes with everything you need to spin. Just add fiber!